I used to be terrible at remembering people’s names. Within a minute of meeting someone new, I’d have already forgotten. Was it Joe? John? Jehoshaphat? Then I met Johnny Ace Palmer. Johnny was the first close-up magician to win the prestigious Grand Prix award from the International Federation of Magic Societies. When I first met Johnny in 2000, I was living in Los Angeles so I could study magic at the Magic Castle in Hollywood. Johnny had a weekly gig performing close-up magic at a restaurant and I’d often go to watch him work the crowd. Being an accomplished sleight-of-hand expert, Johnny would elicit gasps of wonder with his magic. But time and time again, the thing that seemed to impress the patrons the most was his ability to remember the names of nearly everyone at the table. That’s when he changed my life. He said that I needed to stop telling myself that I’m no good at remembering names. And even more powerfully, Johnny suggested that I tell all my friends and family that I am GREAT at remembering names. It’s one thing to give yourself a pep talk, it’s another thing to seek accountability. So, I started. 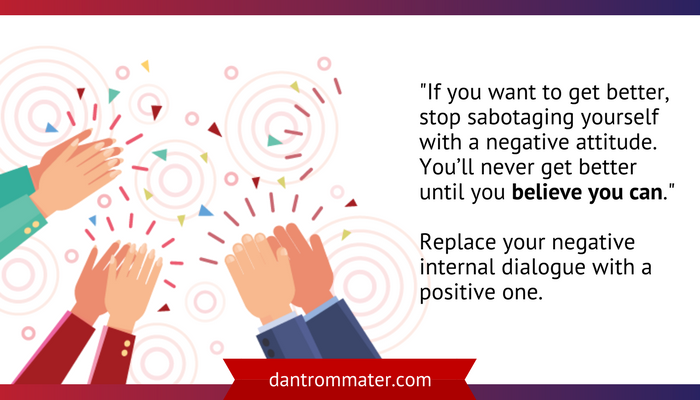 I replaced my negative internal dialogue with a positive one. I told my buddies about my amazing memory for names. With that added pressure, I actually started trying. Trying made all the difference. Soon, I was remembering names of people minutes after I met them. As time went on and my confidence increased, I could even remember many names at the end of a social evening. Want to know the biggest reason people can’t remember names? It’s simple – they don’t try. They tell themselves that they are not blessed with that ‘special gift’ that allows people to remember names, so there’s no use in even trying. That’s a classic example of what psychologist Dr. Carol Dweck calls a “fixed mindset”. A fixed mindset is driven by the belief that one’s abilities are limited. It states that we are born with a fixed amount of ability and that’s that. But research shows that we are capable of learning new skills and improving existing ones. You don’t need loads of scientific data to see this is true. If you’ve ever played a sport, learned to knit or played a video game, you KNOW it’s possible to get better. When you start out, you’re likely pretty terrible, but you soon improve with practice. 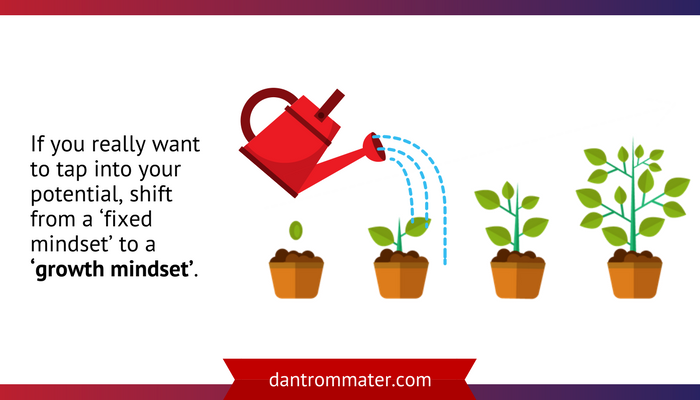 If you really want to tap into your potential, shift from a ‘fixed mindset’ to a ‘growth mindset’. With a growth mindset, you understand that learning new skills may take effort, but it’s possible. One way you can tap into a growth mindset is by changing your language. Once you’ve decided to improve, it will help to have some tricks and techniques to boost your memory skills. Here are a few ways I’ve boosted my memory for names. Many names are pronounced the same, but spelled differently. When meeting a Katharine, I always ask her to spell it for me. For me, Catherine feels like a different name than Kathryn. Once I can see the spelling in my mind, it makes it easier to remember. Remember your ABCs? Twinkle, twinkle little star was used as the melody to help facilitate that learning. Using rhyme, song and melodies are effective ways to help you remember names. This technique also works when trying to remember complex information. For example this song has helped science students learn the elements in the periodic table. So if you can learn the periodic table with using Offenbach’s Can Can, think just how simple it would be to learn a name. In fact, you might not be able to get it out of your head! Living in the culturally diverse city of Toronto, I get to meet people from all over the world. I often meet people with names that I’ve never heard. Asking about the origin of their name is a great way to lock it in my mind. Doing this shows your interest in your new acquaintance and gives you a few moments to focus on their face as you repeat their name in your mind. When you first meet someone, you are likely to learn a bit about them and their lives. Try to find something out that you can link their name to. For example, Anne might have just returned from a trip to Italy. Finding something to associate a name with also has the added benefit of making you more curious about the other person. Ask some great questions and you’ll also have the opportunity to find more in common. 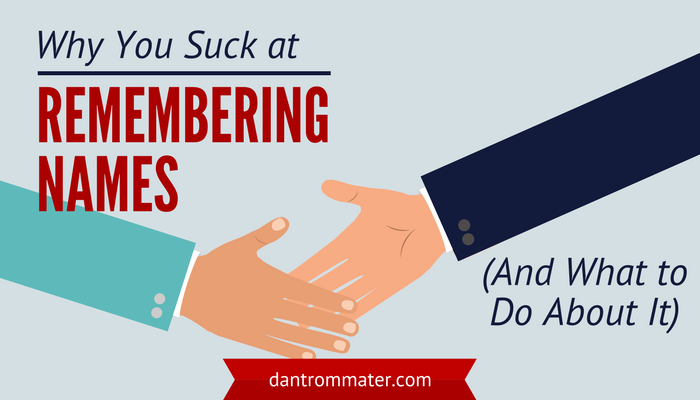 Even when you’re trying your hardest, you’ll likely forget a name soon after meeting someone. While it may feel rude to admit that you’ve forgotten, it’s actually the opposite. In fact, asking their name again is actually a bit of a compliment. It shows that you care enough about them to risk momentary embarrassment in order to lock in their name. Try these out and see which are the most powerful for you. Everyone is different, so different tools and techniques will be better suited to different individuals. For example, I tend to be a visual learner, so when meeting new people, I often ask them to spell their name for me. That allows me to visualize the letters of the name and tends to lock it into my mind. Again, these skills will help you, but not nearly so much as a change in your attitude. Once you shift from a fixed mindset (“I can’t remember names”) to a growth mindset (“I can learn to remember names”), you’ll be amazed at how your abilities grow. Where else in your life could you shift your fixed mindset?